MARBLE AND STONE DUST COLLECTION SYSTEMS: Stone processing can expose workers and those residing in close proximity to these operations to airborne dust. Health Effects of Crystalline dust exposure can include harmful to fatal lung diseases including cancer, chronic bronchitis, and other infections. Therefore protecting your staff just makes good business sense... Taurus Craco represents leading brands for dust collection. 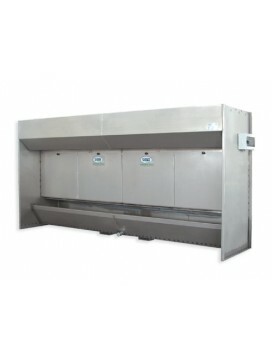 Please contact us for a complete selection of dust collection options. The Modulbox Dry resolves dust issues produced while working with marble and granite. Here's how it works:Air filled dust is sucked into the Modulbox by its powerful fans, then passed through its high quality filtration system eliminating the th.. 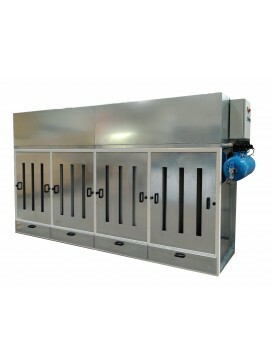 The dust-intaking Modulbox solves the problems connected with the powder produced by the working of marble and granite. Its functioning is very easy:the air, which is full of dust, is taken in by Modulbox internal fans, and then it is filteredt..